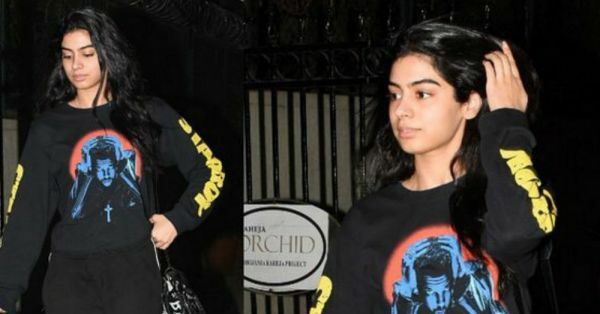 Khushi Kapoor Is In *Weeknd* Mode Already And Her Groovy OOTD Says It All! I think it's safe to say that Bollywood is kinda sorta the centre of our existence these days. Like when you stumble upon some personal deets about the celebs... and also (more importantly), their kids. Yes, we know, they're living their best lives but what else? What about the food, movie genre and music they like? Well, we're closer to knowing more about one certain celeb kid today and it's got us excited. Take a guess. It's Khushi Kapoor! Apart from sharing the whole 'weekenddddd!' feeling, Khushi and all of us also have the 'Weeknd' feelings in common. How do we know? She was wearing her love for the chart-topping Canadian rap and RnB god on her (sweatshirt and) sleeve. Yes, the teenager is all about our favourite 'Starboy', the Weeknd and her black sweatshirt and jogger co-ord ensemble is proof. Khushi paid a visit to her siblings Arjun and Anshula Kapoor in the all-black comfy-cool ensemble and the fact that Khushi Kapoor loves a music artist that we do too is not the only incredible thing about it. The black sweatshirt Khushi wore featured two very on-trend details: graphics and slogans. One, the retro style album cover graphic on the front and two, the word 'Starboy' along both the sleeves in a striking yellow. Khushi also rocked a pair of relaxed black stripe panel joggers from Adidas, ones that happen to be a wardrobe staple for all the cool kids in B-town. The graffiti print Balenciaga shoulder bag was a top-notch choice to add 'chic' to Khushi's 'sports-grunge' outfit, wasn't it? 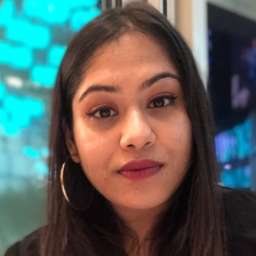 A pair of classic white sneakers completed Khushi's look and if you have a pair, you know you can pull them off with almost everything in your closet. And Khushi knows it too! Work the look with your favourite cropped sweatshirt, matching joggers and your go-to white lace-up sneakers. And don't forget to crank up the "m********in Starboy", alright?